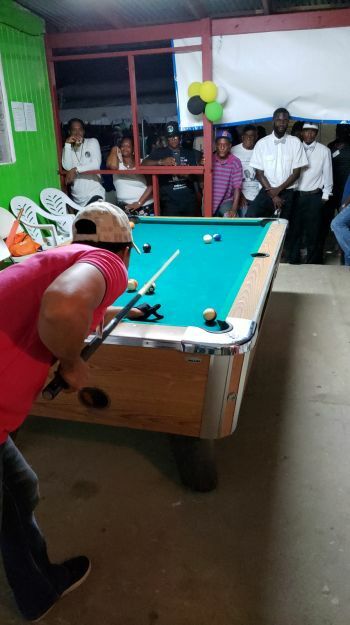 The tournament, which was held at The Crab Hole in South Valley, was won by Tortola resident Mr Elvis Thomas, who overcame Virgin Gorda resident Mr Darius Stephens Jr aka ‘Boy Boy’ in the 2 best of 3 final. Mr Thomas received a trophy and $1000 while Mr Stephens Jr won for himself a Full Body Massage Compliments of A Touch of the Caribbean Day Spa, 1 Swedish Massage Compliments of Royal Touch Day Spa and 1 Free Round-Trip Ticket Compliments of Speedy's Ferry Services. 3rd and 4th Place went to Leroy Jones and Walter Paris respectively. They both received 1 Bottle of Grey Goose Vodka and 2 Free Round-Trip Tickets Compliments of Speedy's Ferry Services. Spectators also received many giveaways that included Free Round-Trip Tickets Compliments of Speedy's Ferry Services, CCT BVI Bag Pack with Trinkets and CCT Umbrella, Bluetooth Headset Compliments of Mr Nice Guy, Memorial T-Shirts and Memorial Buttons. In honour of Mr Millington’s Legacy, a portion of the proceeds was donated to St Mary’s Church. 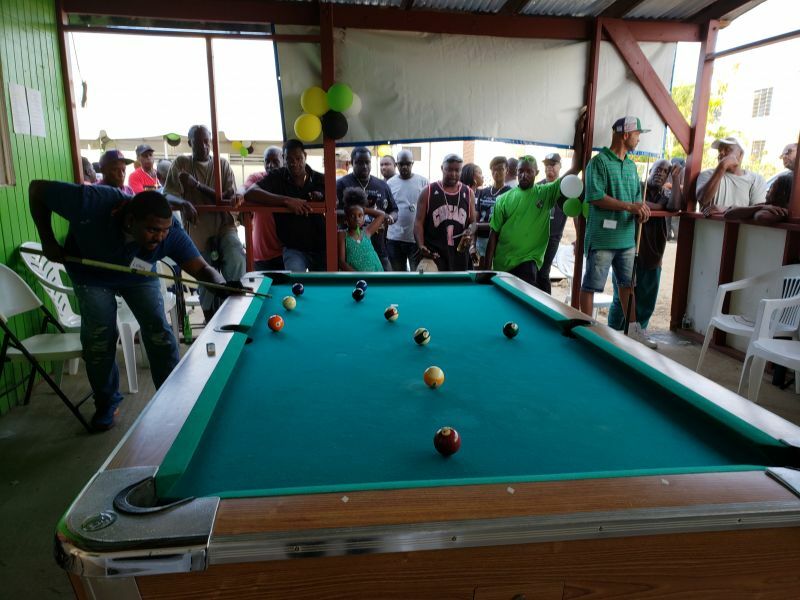 According to family members of the late Mr Millington, the Memorial Pool Tournament was a success. 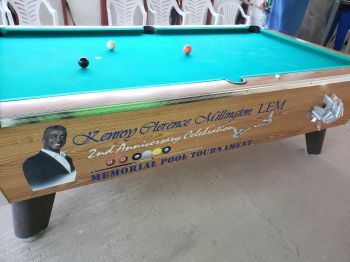 The family, in a statement, further said the tournament was an ideal way to celebrate the life of their beloved husband, father, musician, businessman, Lay Eucharistic Minister and Jewel of the Virgin Gorda Community, who passed away on May 5, 2016. The family extended thanks to the event’s support team, the many local contributors, and spectators and players. I love it! Looking forward to the next one. 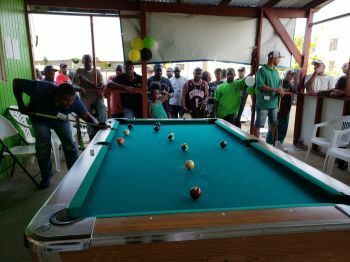 REGISTERED PLAYERS: Noel Hernandez (Individual), Julio Hernandez (Individual), Leroy Jones (Individual), Gregory 'Wiz' Turnbull and Lester Stevens for (Team Thelma's Hideout Bar), Elvis Thomas (Individual), Darius 'Boy Boy' Stevens Jr. (Individual), Chris Erickson (Individual), Alverson 'Shanti' Vanterpool (Individual), Joseph 'Tattoo' Smith for (Individual), Denzel Flax and 'Slingman' Richardson for (Team Mermaids and Pirates Bar), Victor Creque (Individual), Walter Paris (Individual). REDEMPTION DRAWING: All losers in round one was raffled, and the lucky name pulled to join round 2 was Victor Creque. Event Support Team, Hon. Dr. Hubert O’Neal, Transcaribbean International Inc., Ebony and Ivory Construction Ltd.
Road Town Wholesale, CTL Home Center, Tropix Limited, Voicess, Speedy’s Ferry Services, A Touch of The Caribbean Day Spa, CCT BVI, Spice Affair Catering, Royal Touch Day Spa, Fishers Cove Beach Hotel, Anything Goes, The Paint Factory. Mr. Nice Guy, Arista Hair & Nails, Rosy's Supermarket, Mermaids and Pirates Bar & Grill, St. Mary’s, Flex Graphics.